Water Sports towables are fast becoming the number one water activity for families and thrill seekers alike this season. With their ease of use, versatility, affordability and just plain fun factor there really is a tubing towable that is a perfect fit for just about anyone. 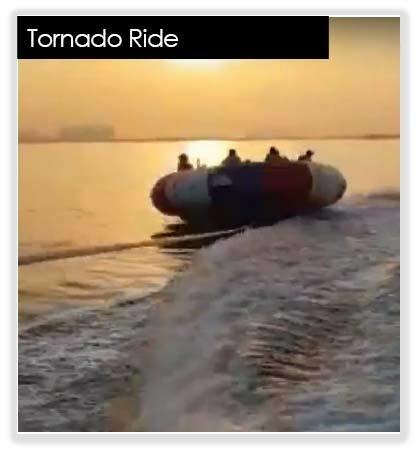 Tornado ride is a trendy watersports activity which is only served by Adventure Sports in UAE at the moment.